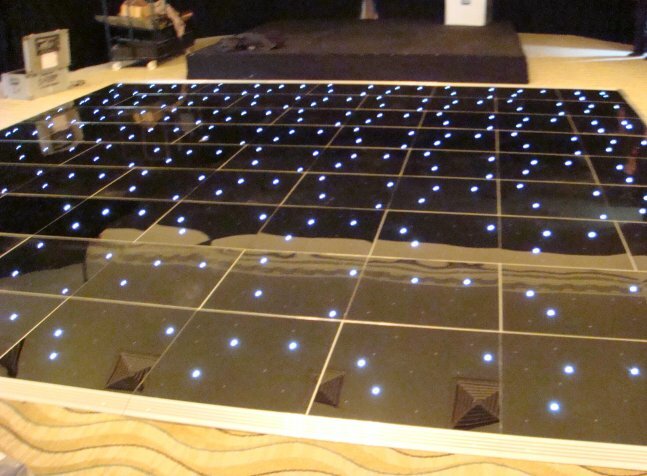 We have been providing the best quality black LED floors since they first became available on the market. Since that date we have moved with the advances in technology from the old cable styled floor to a completely wireless Wi-Fi controlled floor which can be switched on and off by remote control. 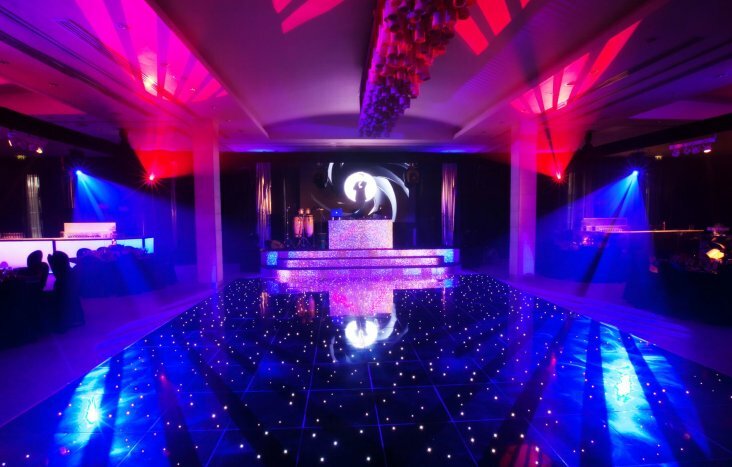 Black floors are perfect for achieving a very classy VIP atmosphere to any venue or for any occasion. Get in touch today for a no obligation quotation. 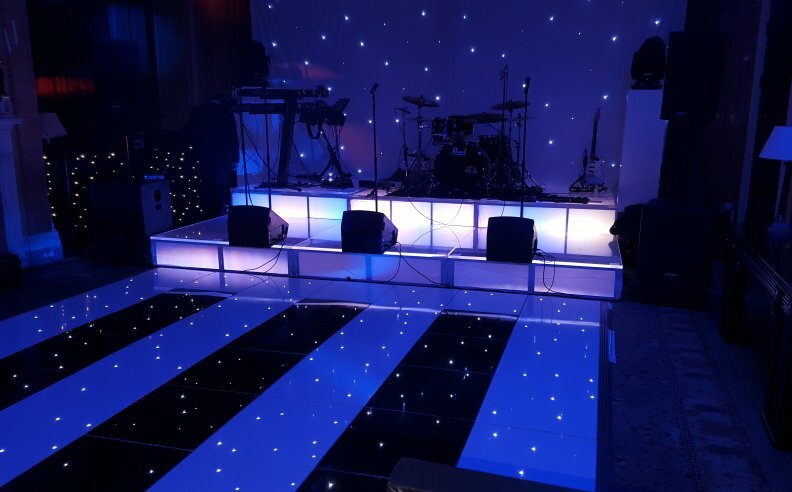 Why not combine our black LED floors with our white LED or even with our colour commander in the centre with a black and white border? 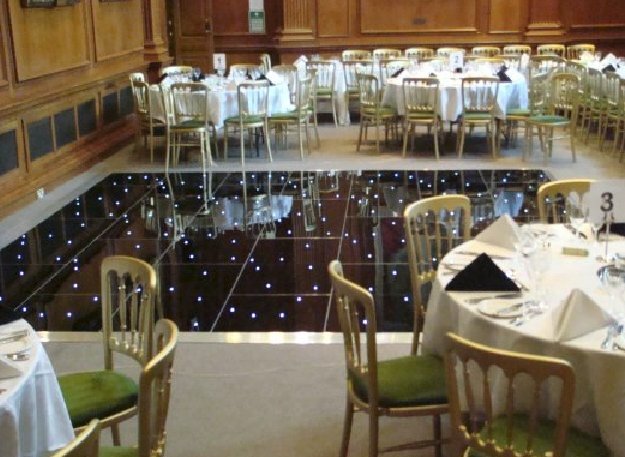 As you can see from our pictures we guarantee a brilliant shine on all of our gloss floors and they look truly stunning.